The truth is, of course, that Ebola is a very dangerous disease that is affecting West Africa in awful ways, but it's not coming here anytime soon. And it can't travel through the air. It can only be transferred through bodily fluids. But that kind of information isn't important to people who've lived through the Swine Flu (never forget. I was in college at the time and walked past a lovely young woman who was explaining to her friend that she wouldn't be going to class with Mexicans, because that's how you get it) or watched Contagion (which my partner accuses me of having every time I am sick. Not any specific illness, just CONTAGION) one too many times. Calm down, America: You're going to be fine. 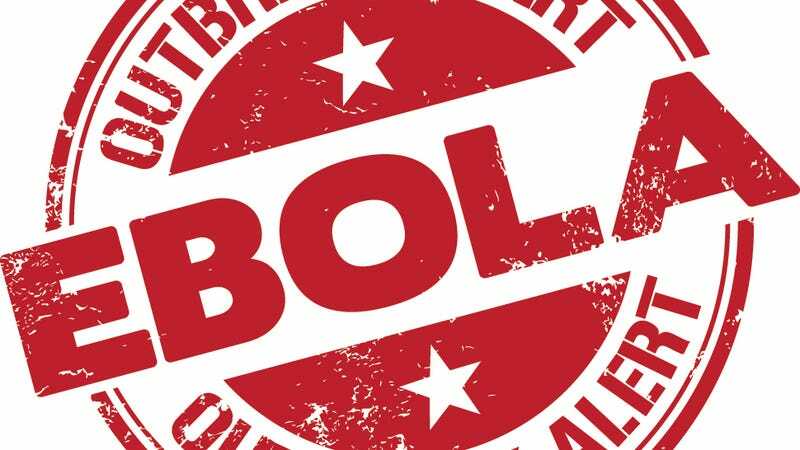 68 percent of the U.S. population believes Ebola spreads "easily." Four in 10 are worried there will be a large outbreak in the United States. And a quarter of Americans are afraid the virus will infect them or someone in their families. Mother Jones points out that American's aren't just pessimistic about their chances of contracting the deadly virus, they're also apparently too optimistic about the cure. According to Harvard's poll, one-third of respondents believe that there's an effective and approved medicine to treat Ebola. Actually, there's no such thing and the drug used to treat the Americans who contracted the virus is still in the testing phase. Gillian SteelFisher, one of the researchers who conducted the poll, says that what Americans need in order to be informed and prepared is actual information from health officials, not soundbites from the 24-hour news cycle.In fact, according to SteelFisher, even the fact that we have rubber gloves (which are not readily available in West Africa) is a huge barrier to Ebola spreading. We should be cautious, but we're all probably going to be fine. "You don't want them to be glib," says SteelFisher. "At the same time, you don't want people to be panicking here." Good plan! Calm down, everyone. And maybe don't force me to change my username in the Jezebel chatroom when I want to help everyone out by choosing Ebola Alert 2014.